Cultivated Enoki mushrooms are very small in size and grow in bouquets of tightly packed, long stems topped with petite, convex caps. The snow-white caps are tender, smooth, delicate, and are connected to matching white stems that are thin and can grow up to twelve centimeters in length. Cultivated Enoki mushrooms are crisp and firm with a crunchy bite and a mild, fruity flavor. Wild Enoki mushrooms are significantly different in appearance from the cultivated form as they have larger caps, shorter stems, range in color from orange to brown, are slightly sticky, rubbery, are velvety in consistency, and have an earthier flavor. 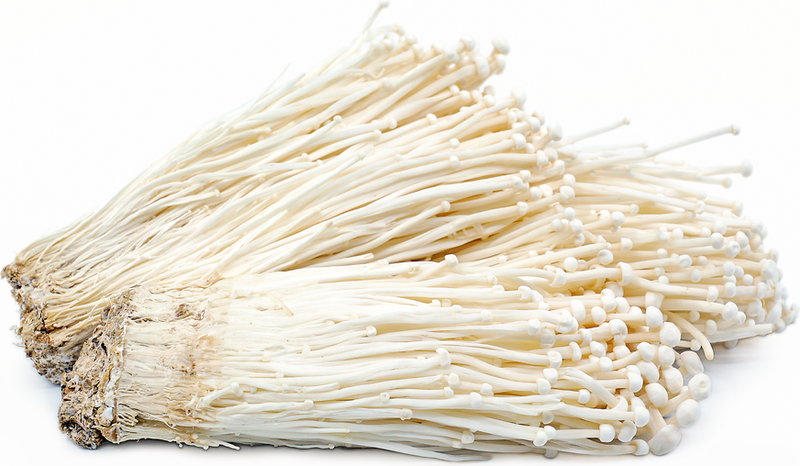 Enoki mushrooms are available year-round. Enoki mushrooms, botanically classified as Flammulina velutipes, is a descriptor used to reference both wild and cultivated varieties that are members of the Physalacriaceae family. Also known as Enokitake, Velvet Foot, Golden Needle, Lily mushrooms, Enoko-take, Jingu in Chinese, Nim Kim Châm in Vietnamese, and Paengi Beoseot in Korean, Enoki mushrooms are both cultivated and found growing in the wild, though the cultivated variety is more commonly used in culinary applications. Wild Enoki mushrooms grow in clusters on trees, preferring the Chinese hackberry tree, persimmon, ash, and mulberry trees. The cultivated variety is grown in the dark in a carbon-dioxide-rich environment to encourage the stems to grow long, thin, and white. Enoki mushrooms are highly favored in Asian cuisine for their al dente texture and are commonly used in hot pot and stir-fries. Enoki mushrooms contain dietary fiber, niacin, calcium, potassium, selenium, copper, phosphorus, and iron. They are also known to have anti-inflammatory properties and are excellent immune system boosters. Enoki mushrooms are best suited for both raw and cooked applications such as simmering, blanching, and boiling. Before consuming, the ends should be trimmed, the mushrooms should be washed, and any slimy stems should be discarded. The delicate, crunchy texture of Enoki mushrooms can be served fresh in salads, lightly sautéed and added into stir-fries and noodle dishes, mixed into omelets, risottos, curries, sushi, or even in spring rolls. They are most commonly used in hot pot soups, added in for texture, but they can also be blanched in a soy sauce-based mixture and served as a main dish. Enoki mushrooms pair well with soba noodles, vermicelli, soy sauce, miso, garlic, onion, scallions, seaweed, kale, ginger, bacon, seafood such as crab, lobster, or shrimp, lemongrass, fresh herbs, long beans, carrots, celery, snap peas, bell pepper, and water chestnuts. They will keep up to one week when stored in a paper bag in the refrigerator. When foraging for Enoki mushrooms, it is vital to consult with an expert before consuming any wild species as the Enoki has an appearance similar to the deadly galerina mushroom. Enoki mushrooms have been cultivated for hundreds of years and are prized in Chinese, Japanese, and Korean cuisine and traditional medicine. 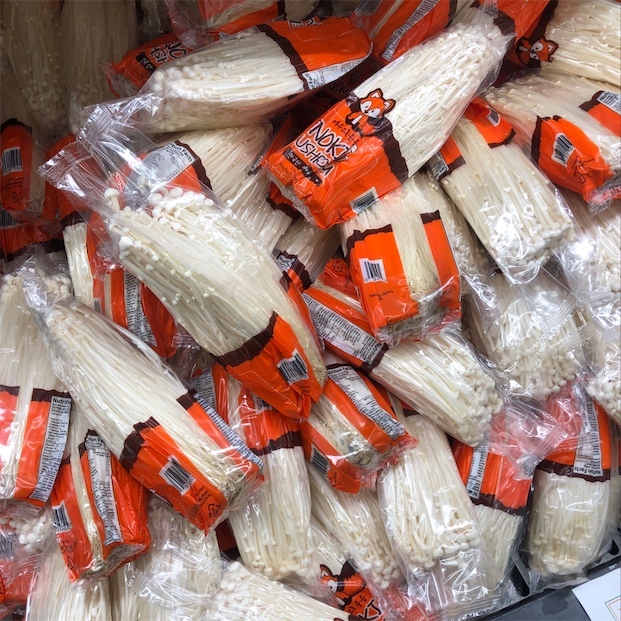 In China, Enoki mushrooms are rich in vitamins and minerals and are believed to help reduce symptoms associated with intestinal issues, blood pressure, and liver disease. In Japan, the mushrooms are popularly used to make Enoki ice, which is when the fungus is boiled for thirty minutes, frozen in ice cube trays, and kept for use in teas, soups, and curries. Enoki mushrooms are also used to make nametake, which is a sweet and salty dish with umami flavors. Enoki mushrooms are cooked in a mixture of mirin, soy sauce, and sweet rice cooking wine and then stored in an airtight container for two weeks. Nametake is widely used as a condiment and is added to soups, pasta, stir-fries, or rice dishes. Enoki mushrooms have been growing wild since ancient times in Eastern Asia and North America, with many experts dating it back to at least 800 BCE in Asia. The variety was first cultivated in Japan for its long stem, nutrients, and unique pure color, and in recent years it has increased in popularity in global markets.  Today Enoki mushrooms are found at supermarkets, farmers markets, and specialty grocers in Asia, Europe, North America, and Australia. Recipes that include Enoki Mushrooms. One is easiest, three is harder. People have shared Enoki Mushrooms using the Specialty Produce app for iPhone and Android.